The latest stop on our busy events calendar was last month’s HFMA ANI 2017 conference in Orlando, where we enjoyed the opportunity to share our advanced RCM solutions directly with CFOs and other high-level decision makers in the healthcare financial management community. 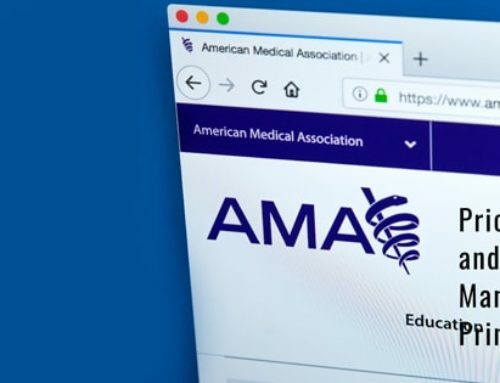 Needless to say, much of the buzz around this year’s HFMA revolved around the continuing uncertainty surrounding healthcare reform – specifically the rapidly shifting mechanics of healthcare reimbursements, from Medicare and private insurers. With the future of the ACA still largely murky – and every incoming dollar more important than ever – we took time to chat with attendees about what they considered today’s most notable trends and issues in healthcare finance. Here are our key takeaways from the event. 35 percent of ‘confident’ respondents remained unclear that QPP requires a full 90-day window of reportable quality data to be submitted to CMS for review. A whopping 75 percent of that same group could not correctly recall that eligible providers and medical groups who fall short of performance baselines – or opt out of participation in QPP/MIPS – will see sharp reductions in their Medicare reimbursements – starting at four percent in 2019, with increasing deductions annually. Here at Infinx, we’re striving to help our customers stay ahead of the MACRA curve – and dodge those unforeseen Medicare penalties. Whether they rely upon automated coding software or third-party services, healthcare groups large and small still lack confidence that results are consistently 100 percent accurate – minimizing chronic A/R headaches from payment delays, denials and eventual write-offs. Visitors to the Infinx booth seemed particularly impressed with our ICD-10 audit services, with dedicated audit teams that quickly resolve discrepancies – from initial documentation and coding through billing and payment processing – to ensure a reliable, hassle-free revenue stream. When we asked HFMA attendees about their past experiences with RCM services, we noticed a fairly familiar refrain – most vendors appeared typically capable of handling around 85 percent of everyday, relatively “easy” coding and billing tasks. Yet they usually struggled with – if not avoided – the remaining 15 percent, those pesky problem claims which often languish unresolved for far too long. Infinx specializes in devoting our resources to focusing on analyzing and quickly resolving the most complicated billing and payment delays so nothing lingers “in limbo” – or simply falls through the cracks. The Infinx team next hits the road for the annual Healthcare Business Management Association (HBMA) 2017 Healthcare Revenue Cycle Conference, September 14-16 at the Arizona Grand Resort & Spa in Phoenix. We look forward to meeting you at HBMA, or feel free to contact us today to discuss how we might dramatically improve your healthcare RCM operations.